A “beautifully written, heartbreaking” (S. J. Watson) debut novel about a gifted boy who discovers the truth about his past, his overprotective single mother who tries desperately to shield him from it, and the father he has never met who has unexpectedly returned. Twelve-year-old Ethan Forsythe, an exceptionally talented boy obsessed with physics and astronomy, has been raised alone by his mother in Sydney, Australia. Claire, a former professional ballerina, has been a wonderful parent to Ethan, but he’s becoming increasingly curious about his father’s absence in his life. Claire is fiercely protective of her talented, vulnerable son—and of her own feelings. But when Ethan falls ill, tied to a tragic event that occurred during his infancy, her tightly-held world is split open. 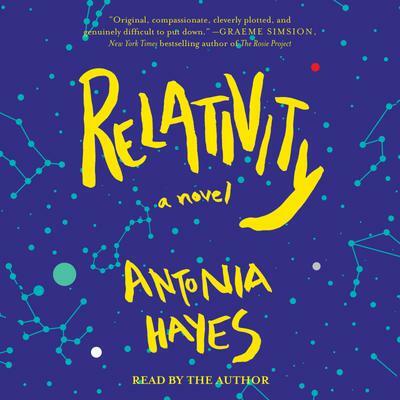 Told from the alternating points of view of Ethan and each of his parents, Relativity is a poetic and soul-searing exploration of unbreakable bonds, irreversible acts, the limits of science, and the magnitude of love.